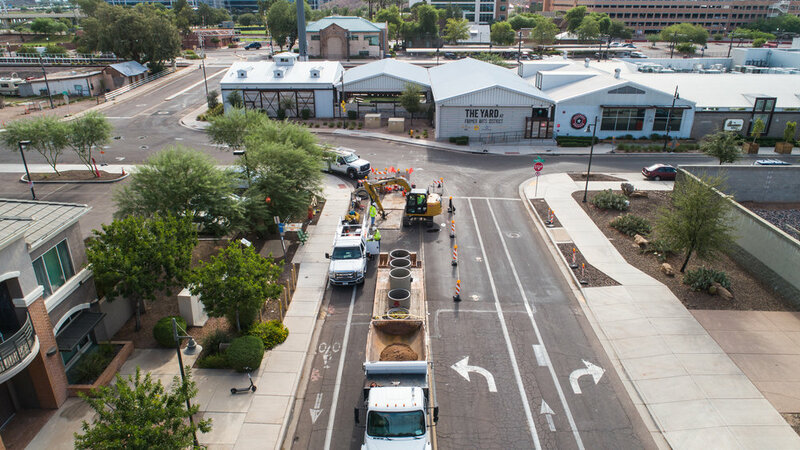 The City of Tempe has identified manholes and collection system piping in various locations around the city that need rehabilitation. 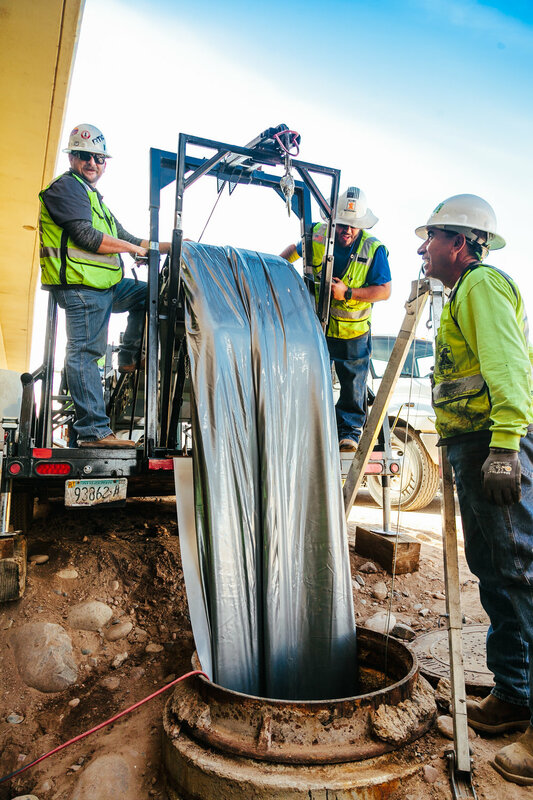 To minimize cost and disruptions to the traveling public, pipeline rehabilitation will involve the use of trenchless technologies including cured-in-place-pipe (CIPP) lining, ultraviolet light-cured CIPP lining (UV CIPP), short-length repair sleeves, mechanical seals, and constructed pipe interiors. If necessary, traditional open-cut repair methods will also be utilized on this project. Manhole rehabilitation will involve the use of precast manhole liner inserts and coatings. GMP 1: The scope included 220 LF of 36" UV CIPP lining, two manhole inserts, and an 8 MGD bypass system. Work was completed quickly and safely in a limited access area while coordinating with multiple adjacent construction projects. 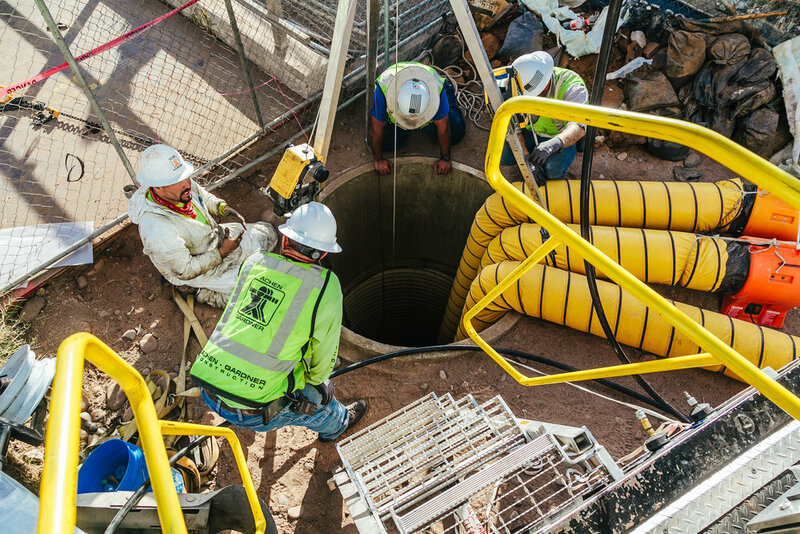 GMP 2: Currently under construction, the scope includes 3,630 LF of 8" to 21” UV CIPP lining, 12 manhole inserts, four manhole rehabilitations, PVC point repairs, and an 0-1 MGD bypass system. Work is being done in many locations including major arterial intersections, minor arterial intersections, residential streets, and alleys. GMP 3: Planned to start in September 2018, the scope includes 13 each 72” manhole insert and bench repairs.